Ronda Rousey wanted to prank the WWE Universe by saying she's pregnant. Ronda Rousey says she pitched what would have been a highly controversial/entertaining prank to Paul Heyman recently. Unfortunately, Rousey will not be able to follow through with the idea. 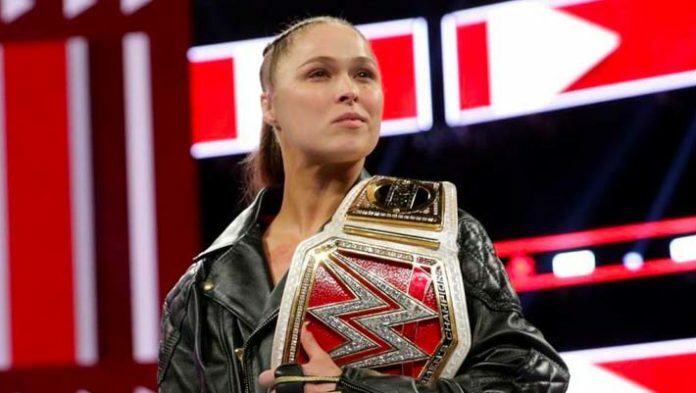 Rousey revealed today on her website that she wanted to announce on the April 1st, 2019 episode of Monday Night RAW that she is pregnant. Not only that, Rousey would say because of her pregnancy she would not compete at WrestleMania and the women would not be in the main event. Then at the end of RAW, she would let the fans know it had all been an April Fools Day prank. Rousey explained the idea to RondaRousey.com. She was asked how she found out that her match would be headlining WrestleMania this year. Rousey also discusses watching WrestleMania growing up, whether she deserves the WM main event spot, and being “Mrs. WrestleMania”. the full interview can be read here.